Paleo diet is one of the latest Hollywood trends, in terms of weight loss. Also known as Stone Age diet or Caveman diet, the Paleo diet allows exclusive consumption of foods that were available for our ancestors in the Stone Age. Thus, diet involves a high consumption of vegetables, fruits, and meat. We present this great diet, along with some delicious recipes that you can try at breakfast, lunch or dinner. There are also many critical opinions against this diet. 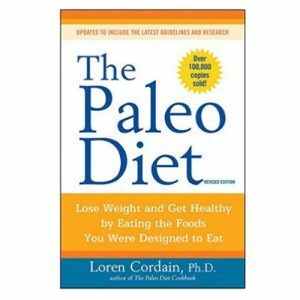 Paleo diet is a diet based on consuming foods that our ancestors were consuming in the Stone Age. Paleo diet works on the premise that our genes did not change very much since the Stone Age. Therefore, feeding ourselves as in the Stone Age is the proper method, because our genes have adapted to this food over millions of years. It seems that the assimilation of carbohydrates in food has helped transform modern homo sapiens in man. Currently, people who believe in this diet see this way of feeding as a way to avoid many diseases like obesity, diabetes, and diseases of the heart and circulatory system. Paleo diet involves eating only the foods that were available in the stone age before people become sedentary. Therefore, dairy products and cereals should be avoided as much as possible during the diet. Also, during the diet, you need to give up on any kind of processed foods, sugar, and alcohol. These will be replaced with fruit, vegetables, eggs, nuts, mushrooms and herbs, fish and seafood. The most important rule in the diet is the consumption of meat, which was the main food consumed by our ancestors. Recommendation: Those who wish can supplement the diet with insects, worms, and larvae. But these habits are less prevalent in the West and not an obligation. We are going to present three recipes which you can use to test the Paleo diet for one day. Breakfast: Start the day with mushrooms and scrambled eggs. Take 300 grams of Champignons mushrooms and cut them into slices and add some chopped onions. Fry the onions in the pan, add the mushrooms and let them drop liquid. Finally, prepare an omelet from two eggs. Lunch: Fry 200 grams of beef cut into thin strips. Meanwhile, cut in half 10 cherry tomatoes and slice two green onions. Add the onions over beef and cook them together. At the end add the tomatoes and mix everything. Dinner: This will consist of a crispy chicken salad. Slice 120g chicken into thin slices and fry them. Cut 300 grams of radishes, 200 grams of tomatoes, 100 grams of carrots and 100 grams of kale into thin slices. And then add a little olive oil, salt, and pepper over the salad and seasonal herbs. Strict diet does not allow the addition of olive oil over salad or for frying. You can replace it with water. The assumption that our genes have not changed since the Stone Age cannot be supported with arguments. Also, keep in mind that our lifestyle habits have changed compared to those of our ancestors. This is one of the reasons why we need a combination of food different than our ancestors. Statements related to eating habits in Stone Age are just speculation. There is no scientific evidence in this regard. There is no such thing as Stone Age diet. The eating habits in the Stone Age were varied based on the place and conditions people were living in. Scientists still debate regarding meat consumption and whether it involved such a large scale, such as those of this diet. A critical aspect is represented and giving up dairy products and cereals. Diet implies a lower consumption of carbohydrates and a higher consumption of fat and protein. Protein intake is too high among certain people. Therefore, nutrition experts advise against an additional protein increase. Consuming too much animal protein may have a negative effect on our health. Paleo diet involves consuming healthy foods such as fruits, vegetables, mushrooms, and nuts. Another positive aspect is encouraging the consumption of food in season. Unhealthy foods such as sweets, alcohol, and the fast food are completely excluded. Paleo diet is easy to follow because there are no quantitative restrictions. Get rid of the need to count calories. If we rely on the statements of those who tested the diet in the first weeks after starting this regimen, you may obtain a massive decrease in weight. There are some studies that reveal the Paleo diet positive effect on the body. Thus, one of the studies published in the "Journal of Diabetes Science and Technology" ‘showed an improvement in blood glucose levels and a decrease in the risk of developing cardiovascular disease. Another study published in the "Journal of Nutrition and Metabolism" says Stone Age diet is beneficial, among others, that allow satiety, thereby preventing overweight. How much the Paleo Diet costs? The Paleo diet is not very hard to follow. Most of the foods are provided from natural sources and some people can cultivate fruits and vegetables and they can also assure the necessity of meat on their own farm. In this case, the diet is not very expensive. For people who don’t have such a condition, it’s a bit expensive as they need to get all the foods from the market, where usually meat is quite expensive. The average budget you need to follow this diet can range between $25 and $50 per day.